Implications of smoking range from lung cancer to bronchitis. There are many deadly diseases that are outcomes of cigarette smoking. Many people are under the clutches of icy jaws smoking. The clutches are so strong that after the habit becomes severe it is difficult to get released from it. Statistics have shown the dire effects of cigarette smoking. The nicotine and many other carcinogenic chemicals have led people towards deadly diseases and disorders. Smoking is dangerous to health and the smoker is exposed to many health risks. But do you know that more than a smoker; people around him get seriously affected with the smoke of cigarette, which they inhale while breathing. These people are called as passive smokers. Passive smoking is the involuntary inhalation of smoke from tobacco products such as cigarettes, cigars, and the like. In some areas it is called secondhand smoke or environmental tobacco smoke. Persons who live in close quarters with someone who smokes are known to be affected by passive smoking, including spouses, children, and even pets. Well, smoking poses a lot of health risks both for the smoker and passive smoker. Smoking does affect own health but it also badly affects the people around us. The effects of cigarette smoking also reach out to those around you as well. Those who are exposed to second-hand smoke inhale about 15% the amount of nicotine as those who are active smokers, so for every ten cigarettes you have around your children, they may as well have smoked one a half cigarettes themselves. Even pets have been found to suffer from increased health problems due to their owners smoking! Smoking also affects fertility, both in males and females. When it comes to the health of your respiratory system, the facts about smoking are that there is virtually no part of this system that is unaffected. Men who smoke increase their risk of death from lung cancer by more than 22 times and from bronchitis and emphysema by nearly 10 times. Women who smoke increase their risk of dying from lung cancer by nearly 12 times and the risk of dying from bronchitis and emphysema by more than 10 times. Persons who live with smokers have been shown to have a 20-30% greater risk of lung cancer than non-smokers who live in a smoke-free environment. Most people are very concerned with their own families more than anything, and it’s surprising to most when they find out how much damage has been done and continues to be done when one smokes. Adults or children with asthma can experience attacks brought on by passive smoking, and tobacco has an immediate effect on the blood vessels, causing them to constrict, making the heart work hard. In 1992, the Journal of the American Medical Association published a review of the available evidence regarding the relationship between secondhand smoke and heart disease, and estimated that passive smoking was responsible for 35,000 to 40,000 deaths per year in the United States in the early 1980s. Parental smoking can affect children and babies, and is associated with low birth weight, sudden infant death syndrome (SIDS), bronchitis and pneumonia, and middle ear infections. Passive smoking is something that is going to affect your loved ones, your wife and kids. 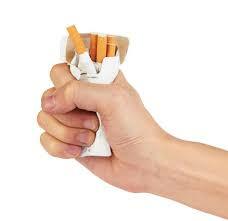 Thus you will require strong willpower to make a decision to quit smoking. If not now then it will happen never. So be sure about your decision and just quit it. Health risks range to the maximum limit of a deadly death.